Strong jaws for George and Richard…? This is an aside really. But although this above picture of George of Clarence isn’t contemporary, I can’t help noticing that the general shape of the face, especially the jaw, is very like Richard as we now know him from the discovery in Leicester. Were these York brothers known for their strong jaws? George’s last resting place is Tewkesbury Abbey (he held Tewkesbury at the time of his death). There are bones there, said to be George and his wife, Isabel Neville. They are in a subterranean chamber that is sometimes open to the public, and are displayed in what resembles a glass fish tank suspended on the wall. Unfortunately, there is a strong likelihood that they are actually the remains of an older man and his wife, possibly a merchant. George and Isabel’s bones are said to have been disturbed during the time of Henry VIII. However, if the contents of this tank were to be closely examined for DNA, is there any chance that some of George still exists? If so, his DNA would surely match his brother Richard’s. I’m not saying this would prove my observation about strong jawlines, so please don’t think it. But DNA might point to similarities between the brothers? No? Well, there’s only one way to find out if some of George (or Isabel) is still there in Tewkesbury Abbey, and that is to be allowed to open, examine and test what’s in that tank. There would be religious objections and claims of lack of respect, of course, but to be honest, I don’t see what’s respectful about a fish tank that can be gawped at by the public, as I once gawped! I have just completed my new novel, Richard Liveth Yet (Book II): A Foreign Country, an alternative history story in which Richard, having won at Bosworth, continues as King of England and pays a visit to Florence at the invitation of Lorenzo de’ Medici. On researching Lorenzo, I became intrigued by the number of parallels and similarities between the two leaders. Lorenzo was about four years older than Richard and, in common with him, was given great responsibility at a young age. He was sent on diplomatic missions, which included meeting the Pope. Like Richard, he had a brother who was considered very beautiful, where he was seen as plainer, shorter and less attractive and both of them lost their brothers too soon (three of them in Richard’s case). The Medicis’ main rivals for power in Florence were the Pazzis, who murdered Lorenzo’s brother, Giuliano, in the famous Pazzi conspiracy. Of course, Richard’s York family’s rivals were the Lancastrians and the rivalry took the form of battles rather than covert assassinations. They both enjoyed hunting and hawking and both were patrons of the arts: in Richard’s case this was mainly through music and architecture, whereas Lorenzo patronised the Renaissance artists such as Botticelli, da Vinci and Michelangelo, and encouraged art and culture, even writing poetry himself, written in his native Tuscan. 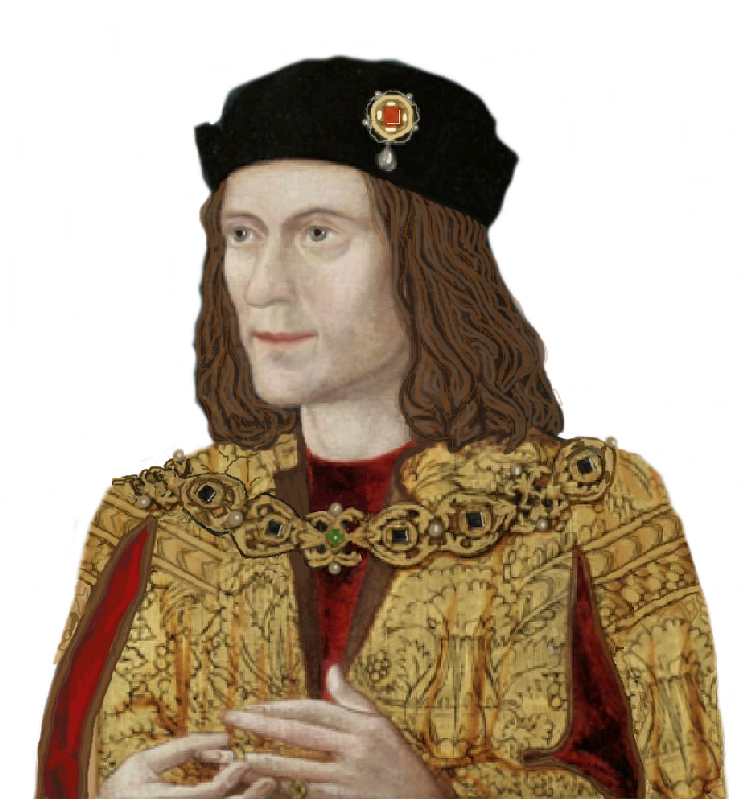 As we know Richard was the first English monarch to swear allegiance in English, had his laws written in English and even owned a bible translated into English. They were both seen as intelligent – Lorenzo was thought to be the most intelligent of his siblings – and they both encouraged education and enjoyed books and learning. They diverge in their family life in that Lorenzo and his wife, Clarice, had ten children (though not all survived) whereas Richard and Anne had only one, who died young. However, they both knew the grief of losing children and both their wives pre-deceased them. Both were courageous – Richard in battle, and in particular during Bosworth’s final moments, and Lorenzo when he went himself to Naples, which was enemy territory after the Pazzi conspiracy, to settle the resulting war with the Holy See through diplomacy. Both took their deceased brother’s child(ren) into their household after their death (in Richard’s case, I am now referring to George’s death). Finally, I think there were some similarities in their appearance also.